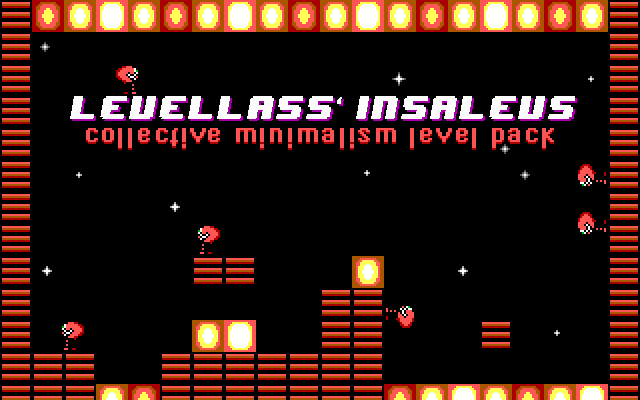 Since it's been 5 working days since the deadline and no new levels seem to be forthcoming, it is time for release. Simply extract into a fresh Keen 2 folder and run play.bat in DosBox or whatever you're using. There will be a two week voting period to find the best level. Should there be a tie a runoff will occur to reapportion votes. The winner will receive a top secret prize. Well... It's not working. I only see a black window and nothing is loading. I'm using Keen 2 1.31. Are you running the exe or the .bat? 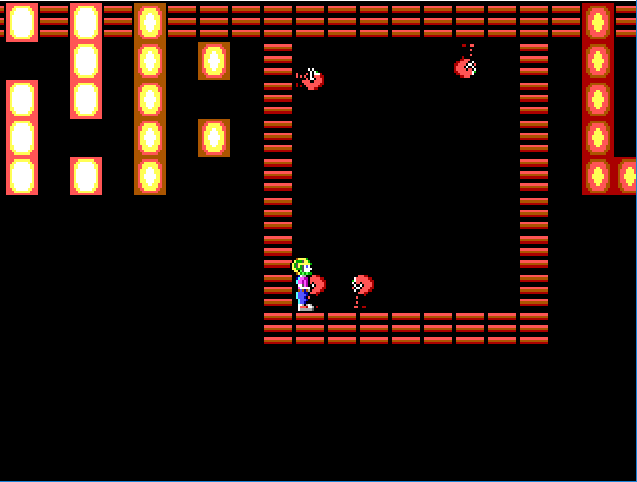 Both should work (The bat only has a few tweaks to make the levels play as intended. Is your Keen2.exe 118'672 bytes long? There's really not much room for upset. Just so people know what to vote and who made what. Okay. So if you run the batch or the exe from the download, you'll only get a black screen. This is because the game can't find various things like EGAHEAD and all those quirky but important files. Oh garg, did you people deliver!! This is such a fantastic level pack. There are some levels that are so brilliant that my voting will need to be randomly chosen between them. I'll write level per level comments later but all I can say now is: wow. I wish I knew people who cared about this kind of thing; I'd like to rave about some stuff seen in this pack like for hours. But it's silent thought for me. Yeah, that's a weird one. I assume he knows what he's doing. Yup, that's what the README.TXT says you should do. So y'know people, read it. Should've made that more intuitive! I'd like to rave about some stuff seen in this pack like for hours. But it's silent thought for me. Rave! Rave! I too have much to says, let us see what everyone thinks is right ans wrong and grow better as a result. For example, completing your level made me want to die, WHY DIDN'T YOU JUMP KEEN? I PRESSED THE BUTTON! @Nisaba: It's definitely more than it seems... Keep trying. Last edited by Roobar on Mon Sep 25, 2017 19:48, edited 1 time in total. The Spleen level. It's very simple to get through the ceiling. It's probably going to get my vote. I nearly forgot about this, it feels like ages ago I made my level, time to start on Keen 3. If only my anti-virus didn't false positive mindbelt. Cool, winner by committee, have no clue what to vote for, but I have time. Is there going to be a last minute extension for the voting too? I believe I could finish a third of these levels (already two down, both of which are not level 1), but not sure if I'll make the effort for the rest since Doom is taking all my leisure time. Maybe half. Also: nice warm opening death traps. I'll make sure to not incorporate that in the future. Last edited by Nisaba on Mon Oct 22, 2018 22:59, edited 1 time in total. OK, my 1st playthrough with many deths, unedited. PaquoCastor's Level: I just rushed to the right side of the level, which actually happened to have the teleporter. I feel rather lucky dying only once here. Levellord's level: In my opinion, a quick and easy level. Quillax' leve:At this point I thought the levels from this levelpack appeared to be a lot easier than from the previous one. Roobar's Level: Third level I completed without dieing. Thought the death trap at the start was quite mean, I somehow avoided it. Keenrush's level: At this point I no longer thought this levelpack appeared to be a lot easier than the previous one. Holy fucl, This is an extremely long sequence of very tricky jumps, with another opening death trap way nastier than from the previous level. After some time i gave up and went to explore the level in god mode. No way in hell that i would be able to ever finish this. Nisaba's Level:Seems like the easy level were concentrated at the beginning. Second time a scrub pushes me away from the exit . I eventually gave up (after 4 full minutes) because i played this right after keenrush's level and I wasn't that patient anymore + knowing where i was in the level (bottom) with the exit on top i know i had a long road ahead of me. Troublesomekeen's Level: Initially I went the wrong way, seems like it wasn't the very tricky jump at the bottom that had to be done. I like how the scrubs were used in this level. I think i will give this level my vote. Commander spleen's level:When I saw how i was trapped in this cage, I thought: damn. It was obvious that there was some way to escape the box, probably involving the scrubs and the fact that the pogo keen sprite has a different hitbox. So after fucl around a bit I managed to somehow go through the roof, but i don't know the exact mechanics for that. After i got out, I was way more carefull than I usually am and after dying once I gave up. Please put a hazard tile inside that box next time. Proyorp's level: For most of the level I couldn't really situate where I was in the level, damn this was disorientating . Thankfully the jumps weren't especially nasty. Edit: looking at the map afterwards, was it possible to take a longer route than i did? Last edited by shikadi on Tue Sep 26, 2017 21:25, edited 1 time in total.